This blog wraps up the series about Net-Zero Energy Ready Construction. Remodelers could play a large part in upgrading existing construction in preparation for more stringent energy codes for homes. There is a huge inventory of homes that will need to consider tightening up the envelope to lower energy costs and compete with new construction. A small investment now will pay homeowners back every month for the life of the home. To start, I would highly recommend that remodelers get a toe hold in reality and invest in training on how to measure energy efficiency in a building. There are very good tools today to help us predict a buildings energy performance and also measure a buildings performance. It can be as simple as in the winter time turning off your heating and sitting there for 24 hours to track the temperature change in your house. That will tell you how efficient you are and the actual energy flow over time. The problem is that it will NOT tell you how to fix it. To understand how to fix it is to understand these energy modeling programs and where the impacts come from. A great deal of energy efficiency in existing buildings in cold climates comes from helping them become more air tight. One way to take an existing building into the future is, first, to understand what its air leakage is today. This enables you to fix those problems and make that building envelope more air tight. Adding more insulation and adding continuous insulation are parts two and three of this process meaning that once you know where the air leakage is, now you have to increase the thermal resistance of the envelope by filling all the empty spaces and covering up the frame. This is huge for remodelers because they have the best opportunity to get behind the siding during a renovation and put rigid insulation over the framing behind the siding to cut off the thermal bridging that occurs when a frame can communicate with the exterior environment. That is the monster in the room or the biggest yardage you can get for the shortest running play that you will ever see in your life. Only a remodeler gets the chance to do that because you have to remove the siding to get the job done properly. So, for a remodeler who is capable of doing a blower door test or is a HERS (Home Energy Rating System) rater they are ahead of the game. HERS is the industry standard by which a home’s energy efficiency is measured. By being a certified rater, you can run the blower door, get the results and plug them into the HERS program which will show you exactly what needs to be done. By having this information you can help the homeowner to determine the renovations they need to do over time to get closer to the net zero energy goal. You can help them develop a plan to get their home where it needs to be. 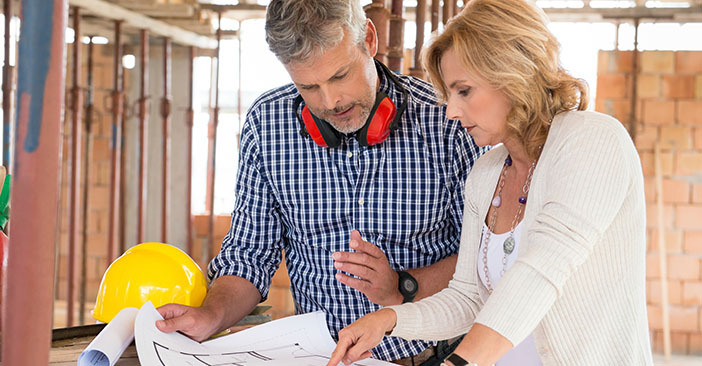 Being a HERS Rater is a great fit for remodelers. It will help you be a true partner and consultant for your customers. Having this credential is backed by a solid organization that is respected in the industry and quite frankly, with the move to net zero energy homes, raters will be in demand to conduct these tests on homes. Every part of the country will need to assess the efficiency of homes and buildings as the building codes change to meet the net-zero energy construction requirements.